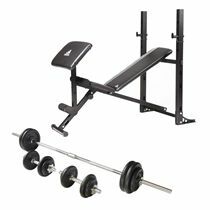 The Viavito 50kg black cast iron barbell and dumbbell weight set is a quality choice designed to enhance your strength training, especially focussing on your upper body. However, the equipment can be combined with exercises such as squats, lunges and more to work your whole body, making it a handy addition to your fitness routine. The chrome plated bar and dumbbell bars have knurled handles that improve your grip, letting you work out with confidence, and the weight plates have a durable black finish. 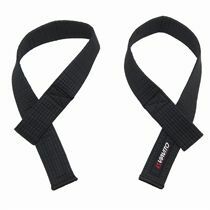 The set is made to endure intense training sessions and the 14 cast iron plates allow you to vary the weight you lift, with spinlock collars to secure the plates in position. The 50kg corresponds to the complete weight of the set, which includes the weight plates, bars, as well as the spinlock collars. 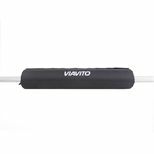 Save 50% on the Viavito Protective Barbell Pad when purchasing this product! for submitting product information about Viavito 50kg Black Cast Iron Barbell and Dumbbell Weight Set We aim to answer all questions within 2-3 days. 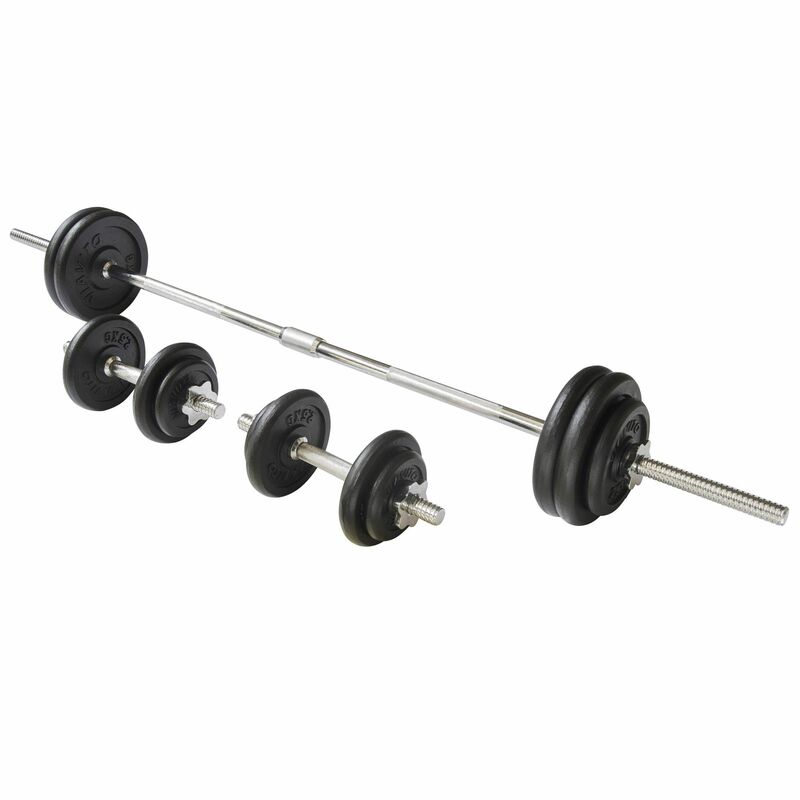 for submitting product information about Viavito 50kg Black Cast Iron Barbell and Dumbbell Weight Set. We aim to answer all questions within 2-3 days. If you provided your name and email address, we will email you as soon as the answer is published. Are the plates standard or olympic size? 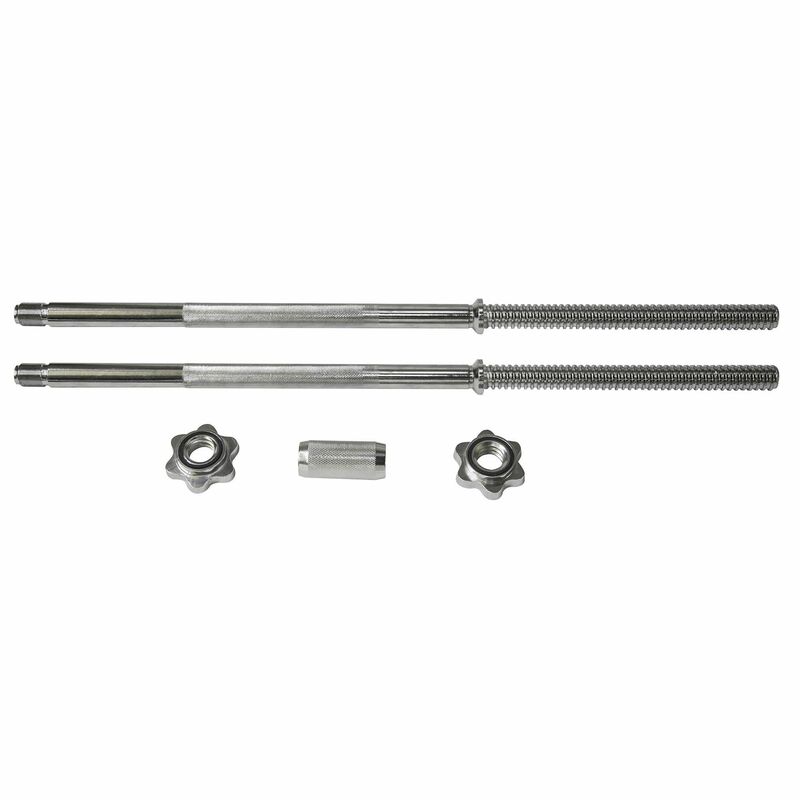 The plates and bars are all standard size - 2.5cm (1”) diameter. 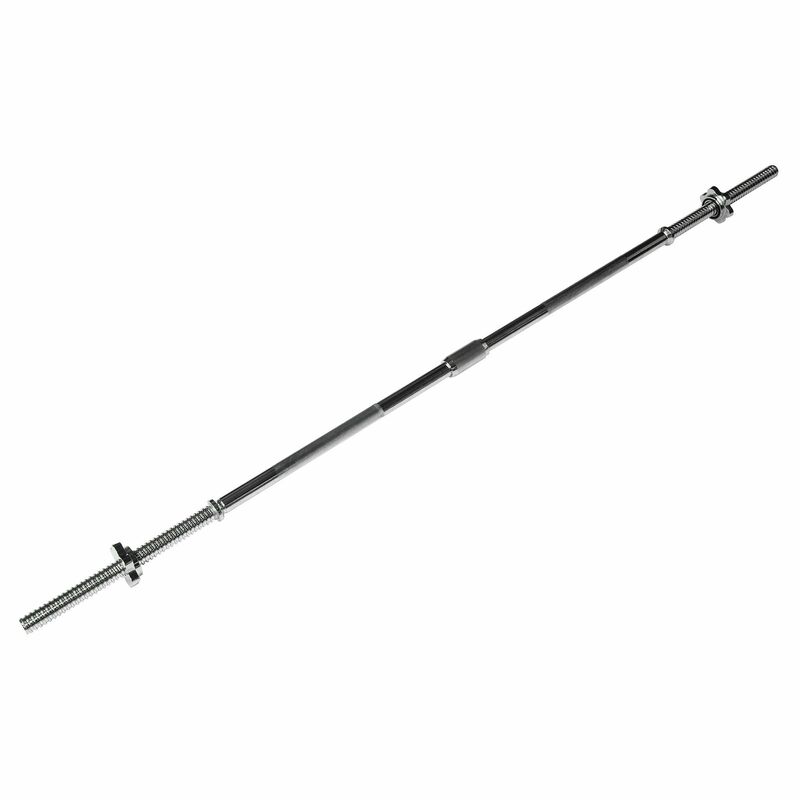 What is the maximum weight you can load the barbell with? Does it come with a barbell and then two dumbells? 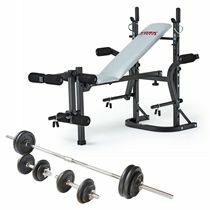 Having had some doubts about the set due to the price I bit the bullet and bought it and I have to say that I think it's a perfect set up for a beginner starting to workout from home. Using the barbell you have sufficient load to train all main body parts - back, chest, shoulders, arms and legs (at a push!). Surprised with the really good quality of this item, especially considering the price. 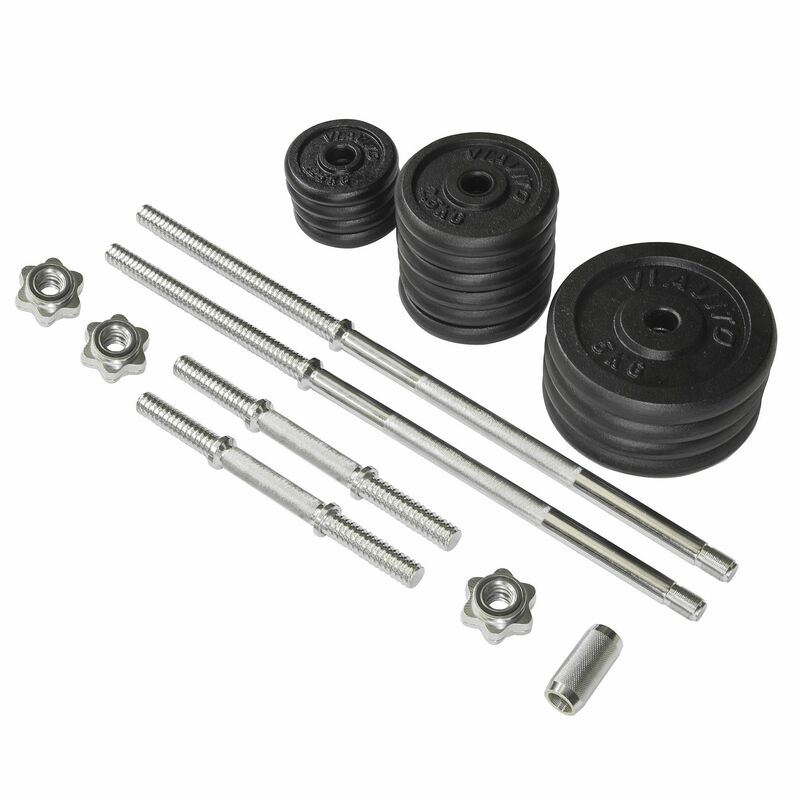 for submitting product review about Viavito 50kg Black Cast Iron Barbell and Dumbbell Weight Set.